So, I'm starting to get in the groove of things with the new job and all. Thank you everyone for your warm words and wishes. They are greatly appreciated! Now onto the review. I got this from Walgreens for $10 recently. There is one within walking distance from me and I find myself in there for no good reason sometimes but to simply look around. One of my milling around sessions led me to discovering that they carry Yes to Carrots products and the Yes to Cucumbers conditioner too. I heard such great things about it from It's Just Hair and decided to give it a try. Boy am I glad that I did. I dig that this conditioner is over 90% natural/eco-friendly ingredients and it softened my hair like whoa. It has awesome slip and I didn't have to use a lot of it to detangle with at all. 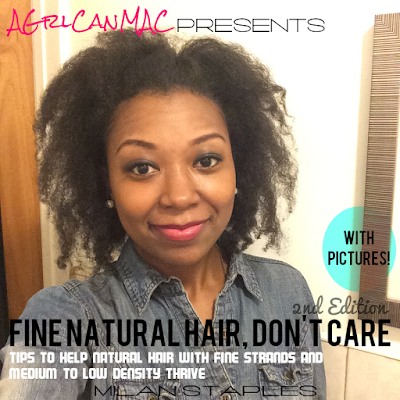 When I first tried it, I was working with hair that hadn't been washed or combed in a lil over 2 weeks! Now that's what I'm talking about. Agree with you on all points about the condish. Check Ross for Yes to Carrots products. Found Yes to Cucumbers condish for $2.99. I may have to check this out! I've been wanting to try this so bad!! I agree with IF, please check your local Ross, I have gotten Yes to Carrot/Cucumbers/Tomatoes Shampoo, Conditioner, and Body Butter there for only $2.99!!! I have a question very much related to your new find. Could it be possible that this conditioner works all the better because your hair is healthy to begin with? I can't imagine that someone with damaged hair can claim the same results. Perhaps the work of the conditioner is noticeably better BECAUSE your hair is already 'top form'. Udee: You bring up a good point! I'm not sure if it has to do with my hair's "health" or not. And since I take good care of my hair, I can't give any insight from a perspective of having damaged hair. I hope this one doesn't have salt in it (sodium chloride) as I think the yes to carrots does. For some reason salt in conditioners gives me a great experience in the short term, but it dries my hair out overtime, especially since I use conditioners as leave-ins. Very curious about this one as I love the price as well! Thank you for your review! Petroleum Jelly Without the Petroleum?